The attention of the Abia State Governor, Dr Okezie Ikpeazu, has been drawn to the baseless and unintelligent allegations made by Mr Alex Otti, the defeated 2015 governorship candidate of the crisis riddled All Progressive Grand Alliance (APGA) party in Abia State, with regards to the management of the CBN bailout and Paris Club refund facilities to the state. Ordinarily, clueless allegations from a character like Otti does not deserve any response, but for the sake of members of the public, who may be misled by the federal government acclaimed dangerous misinformer, it is necessary to state the facts. Assuming without conceding that Oti is smart, as a supposed former bank chief, it should be taken for granted that he will be a master of financial numbers. 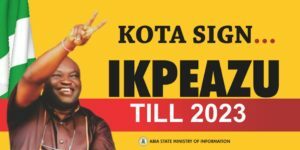 But since he started his desperate quest to become Abia State Governor by all means with the objective of clothing himself with underserved immunity from prosecution, he has serially exposed himself at the state and national level as a man who thinks he knows but actually know nothing about financial numbers. 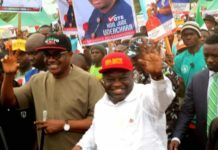 For the records and without mincing words, Governor Okezie Ikpeazu is open to any probe of his administration’s management of the state’s financial resources by any constituted authority of the state or federal government. Mr Otti is therefore enjoined to feel free to visit any relevant institution and offer information on any aspect of the management of Abia resources under Governor Okezie Ikpeazu. It is also hoped that Mr Otti will publicly encourage the auditors of Diamond Bank Plc to publish detailed audit reports of the bank covering the period that he served as Managing Director and the year after. The public needs to know the sources of the operational losses that were masked through asset revaluation and other smart accounting tricks. A review of the contents of the document he circulated reveals a man who is either plain ignorant or full of deceit, as the press release contained outright lies, half-truths, contradictions and conjectures. Mr Otti was part of the status quo he derided in Abia from 1999-2015 and obviously while he benefitted from the system he forgot to organize press conferences to call for a probe of the state’s account, including the Federal Allocation Committee (FAAC) account that he ensured was moved to Diamond Bank when he became the MD. Little wonder Alex Otti will easily forget the N2bn loan he ill advisedly arranged for MOCERAM Umuahia that later became a burden on the succeeding administration while the factory remains moribund to date. Can Otti honestly claim not to be part of what he pontifically described as “reign of absolutism” given his close association with governments in power in the state before 2015? May he should show the world his original PDP membership card so that the date it was issued will become public knowledge. At no point did the Governor Ikpeazu administration publicly claim that it needed only N6b to clear salary, pensions and gratuities outstanding in the state. Rather it is a matter of public record which can be verified from Central Bank of Nigeria (CBN) and Debt Management Office (DMO) of the presidency that the documents submitted by Abia State Government in lieu of the request for bailout indicated a requirement of N38b to clear all the outstanding as at October 2015. Only N14.2b was approved for the state. It is also public knowledge that when the facility was received the state government transparently set up a committee dominated by Labour leaders in the state to allocate all the resources to the payment of some of the outstanding salaries and pensions. Unlike other states, ICPC and Labour leaders reviewed the application of the facility and commended the Government of Dr Okezie Ikpeazu for prudently managing the bail out loan without diverting any portion to competing needs. 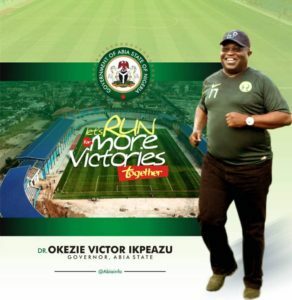 To date, the Government of Governor Okezie Ikpeazu has not borrowed a single kobo from any commercial bank in Nigeria. If indeed Mr Otti is not rusty with. banking skills and processes he can easily verify this fact from the CBN and DMO. 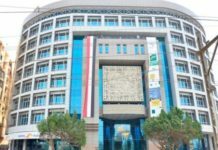 In any case, states have long been stopped from borrowing from commercial banks at the prevailing double digits interest rates, especially for the purpose of paying salaries. Only Mr Otti, the self styled astute banker, seem not to know this and hence he continues to dish out lies which accounted for his failed Governorship run as Abians saw through his politics of deceit. 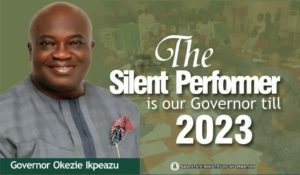 With regards to the approval from the Abia State House of Assembly to borrow N30b, the Ikpeazu administration never accessed those funds to date. We challenge Mr Otti to publish the name(s) of the local bank that availed the facility to the state government or shut up. It is common knowledge that Nigeria is in recession and even Otti has written ill informed articles to the Federal Government on how the exit recession. In one of his recent articles, the managers of the national economy described his article as “dangerous misinformation” and queried his knowledge of financial matters by asking him “are you for real”? 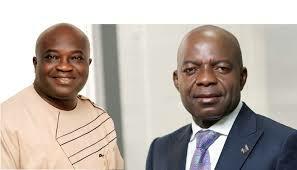 It is this same Alex Otti that is now engaged in spreading further misinformation against the Abia State Government. The primary effect of the current economic situation in the country is that revenue inflows to the states from federal revenue receipts have fallen much below wage bill level for many states, including Abia State, for most of the past 22 months. At a particular period the state wage bill hovered around N2.7b with FAAC receipts at between N1.6b and N2b monthly. 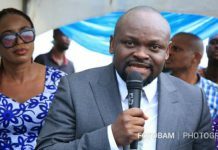 Acclaimed misinformer, Mr Otti, wrote that Abia State Government received N5.3b Paris fund refund and Mr Obinna Oriaku told the citizens that he needed N700m to clear outstanding salaries and pensions. 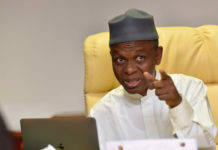 While the statement is expected from an unreal character who spreads misinformation as a hobby, it is important to state that when the state received the first tranche of Paris Club refunds totaling N10.6b, the Governor approached the state house of assembly to approve the investment of 50% of the funds on outstanding salaries, as suggested by the presidency, with the remaining 50% allocated to infrastructure development projects. It was on that basis that the state house of assembly approved the following expenditure in December 2016. The details are as follows: N5.3 billion on Salary arrears and pensions, N1.7 billion for road construction projects, N2.5 billion on bridges, N685 million on Hospital projects and N200 million for street lighting projects. Labour leaders later approached the Governor to add N700m to the allocated N5.3b to ensure that the available funds are spread to more units of the state’s civil service, and the Governor graciously accepted. At no time did either Labour or the Commissioner for Finance claim that the N700m was what was needed to clear all outstanding. When the state applied for the second tranche of Paris club refunds, it was calculated that based on verifiable figures the state will receive a minimum of N15b. Given the available data that showed that outstanding salary and pensions stood at around N13b, the Governor who was eager and committed to paying off all workers outstanding declared without prompting that once the inflows, expected before end of July 2017, is received his government will clear all the outstanding salaries and pensions. Sadly, the Federal Government only released N5.715b to Abia State with the balance still expected. 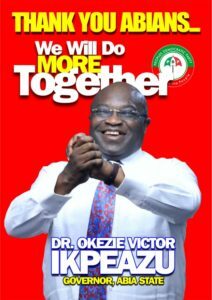 Yet eager to do the greatest good to the greatest number of workers, Governor Okezie Ikpeazu directed the Labour-dominated committee to apply all the received money to payment of salary and pension arrears. Whereas the federal government recommended that states apply 70% to salary/pension outstanding and 30% to infrastructure development projects. 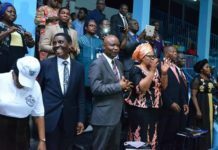 As at today, all the Ministries, Departments and Agencies (MDA) in Abia State, constituting more than 70% of the state workforce, have received July salaries. Given that we are currently in August, it should be noted that more than 70% of the state’s workforce are 100% on salaries. Yet there are still challenges that were not met with the received funds. The already issued payment mandates were not enough to cover the following salary arrears within the state workforce: primary school teachers still have 2 months salary outstanding while secondary schools teachers have 3 months. Local Government workers have 2 months outstanding with 5 months for pensioners while state pensioners have 6 months outstanding. While the Governor is concerned about the yet to be cleared salary and pension backlogs, some of which originated from 1999-2002 period, he is mindful of the need to avoid borrowing from commercial banks to clear the outstanding. The era of Banker Alex Otti showing up at government houses to hoodwink states into borrowing from commercial banks at high interest rates is gone. The Government of Dr Okezie Ikpeazu will continue to innovate to tackle the issue of outstanding salaries with a view to ensuring that all Abia workers are up to date with salaries and pensions without exception. With regards to the AfDB infrastructure development loan of $200m, the negotiation for the facility preceded the current administration. Due to the need to renew infrastructure across the state to support improved production and the integrated development agenda of the current administration, the government decided to vigorously pursue the realization of the facility which has less than 1% interest rate with 10 years moratorium. It was part of the national borrowing plan of the federal government and we are glad that regardless of the efforts of Otti and others who only think politics, the National Assembly approved the borrowing after reviewing our presentation that included well stated repayment plans. Contrary to what our misinformation specialist stated, AfDB will manage the allocation and disbursement of the funds through their accredited contractors that are expected to emerge using transparent international bidding processes. There is therefore zero chance of mismanagement of the fund which will be devoted to road infrastructure, sanitation and erosion control projects across the state. To underline the fabled hypocrisy of Mr Otti, it is important at this time to mention that during the 2015 campaign rounds, candidate Alex Otti told members of Aba Chamber of commerce that he has obtained international loan of $100b to invest in Aba Urban renewal projects alone. While we knew at the time that it was one of his many lies aimed at hoodwinking the electorate, it is laughable that it is same Otti that is now against obtaining a facility of $200m to do much more across the state. 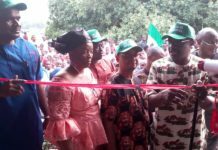 To date, the Ikpeazu administration has commissioned 26 roads in the state within the last 24 months and is currently at 65 other road construction sites spread across the state. The Government is speedily constructing the first interchange (flyover) at Osisioma Aba. 2 bridges have been delivered with new hospitals, classroom blocks and buildings as well as other human capacity development projects. Finally, the Government led by Governor Okezie is not afraid of any probe or oversight by any agency of state and our books are open for inspection. We hope that Mr Alex Otti will also accept a holistic probe of his activities at First and Diamond Bank so as to show himself fit and proper person to make allegations bothering on corruption and financial mismanagement. A good starting point will be for him to authorize the publication of the detailed internal and external audit reports of Diamond Bank for the years covering 2013, 2014 and 2015. After all he who goes to equity must go with clean hands and clean conscience.